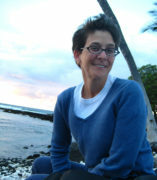 Lisa A. Freeman is Professor and Head of the English Department at the University of Illinois at Chicago. She specializes in Eighteenth-Century Literature and Culture and Theater and Performance Studies. She is the author of Character's Theatre: Genre and Identity on the Eighteenth-Century English Stage (UPenn, 2002), and Antitheatricality and the Body Public (UPenn, 2017), which was named Runner-Up for the 2018 ATHE Outstanding Book Award, Finalist for the 2017 TLA George Freedley Memorial Award, and Honorable Mention for the 2018 Joe A. Callaway Prize. Freeman is also the author of "Mourning the Dignity of the Siddonian Form", published in a special issue of Eighteenth-Century Fiction on Eighteenth-Century Drama, and the editor of the Sarah Siddons volume for Pickering and Chatto's Lives of Shakespearean Actors series. She has published essays on various aspects of eighteenth-century English drama in The Cultural History of Theatre in the Enlightenment (Bloomsbury, 2017), The Cambridge Companion to British Theatre, 1730-1830 (Cambridge, 2007), and Players, Playwrights, and Playhouses: Investigating Performance, 1660-1800 (Palgrave/Macmillan, 2007). She has just completed an essay on Taylor Mac's 24-Decade History of Popular Music, and is working on a series of three essays that focus on the dramatic theory and criticism of Elizabeth Inchbald as articulated in fragmentary fashion across her "Remarks" for the British Theatre. Antitheatricality and the Body Public (UPenn, 2017). Character’s Theater: Genre and Identity on the Eighteenth-Century English Stage (UPenn, 2002). Contributor, The Cultural History of Theatre in the Enlightenment (Bloomsbury, 2017). “Mourning the Dignity of the Siddonian Form.” (Eighteenth-Century Fiction 27:3-4, 2015). Editor of the Sarah Siddons volume for Pickering and Chatto’s Lives of Shakespearean Actors (Routledge, 2009). Contributor, The Cambridge Companion to British Theatre, 1730-1830 (Cambridge, 2007). Contributor, Players, Playwrights, and Playhouses: Investigating Performance, 1660-1800 (Palgrave/Macmillan, 2007).